Zuri Hall,a correspondent for E! News, arrives for the 75th Golden Globe Awards on January 7, 2018, in Beverly Hills, California. Director and screenwriter Jane Campion arrives for the 75th Golden Globe Awards on January 7, 2018, in Beverly Hills, California. 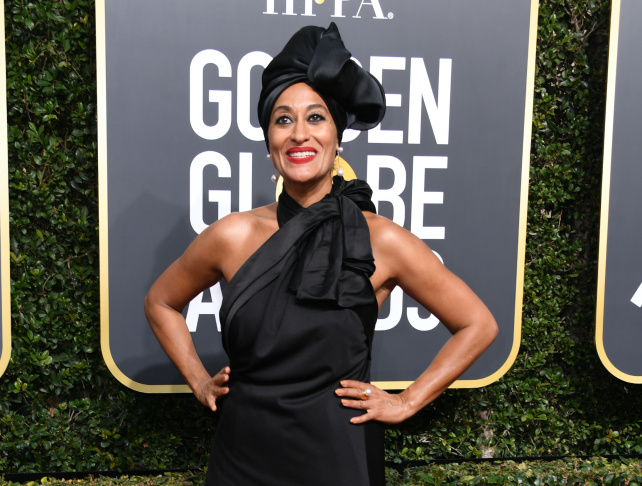 Actress Tracee Ellis Ross arrives for the 75th Golden Globe Awards on January 7, 2018, in Beverly Hills, California. 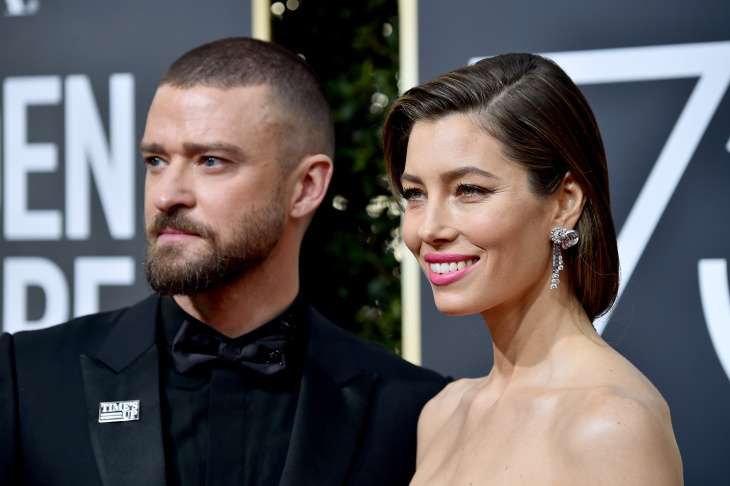 Singer Justin Timberlake and actress Jessica Biel attend The 75th Annual Golden Globe Awards at The Beverly Hilton Hotel on January 7, 2018 in Beverly Hills, California. 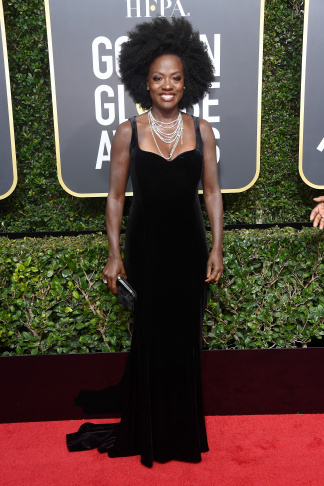 Actress Viola Davis attends The 75th Annual Golden Globe Awards at The Beverly Hilton Hotel on January 7, 2018 in Beverly Hills, California. Actress Debra Messing attends The 75th Annual Golden Globe Awards at The Beverly Hilton Hotel on January 7, 2018 in Beverly Hills, California. 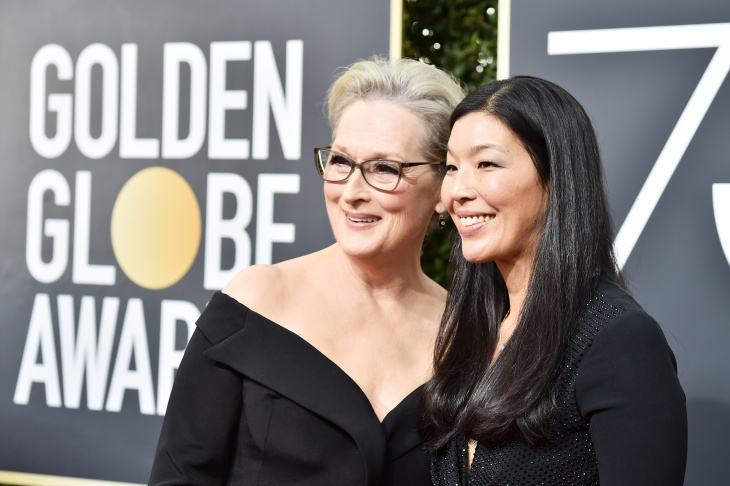 Actress Meryl Streep and NDWA Director Ai-jen Poo attend The 75th Annual Golden Globe Awards at The Beverly Hilton Hotel on January 7, 2018 in Beverly Hills, California. 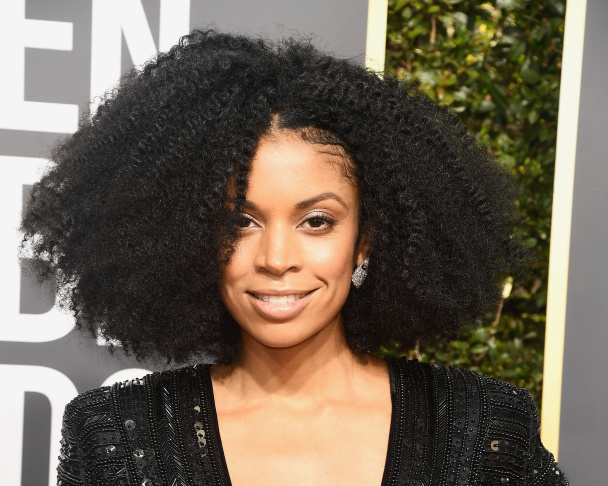 Ryan Michelle Bathe Susan Kelechi Watson attends The 75th Annual Golden Globe Awards at The Beverly Hilton Hotel on January 7, 2018 in Beverly Hills, California. The cast of Stranger Things (left to right): Gaten Matarazzo, Caleb McLaughlin, Finn Wolfhard, Sadie Sink and Noah Schnapp attend The 75th Annual Golden Globe Awards at The Beverly Hilton Hotel on January 7, 2018 in Beverly Hills, California. Actress Millie Bobby Brown attends The 75th Annual Golden Globe Awards at The Beverly Hilton Hotel on January 7, 2018 in Beverly Hills, California. Writer and actress Lena Waithe attends The 75th Annual Golden Globe Awards at The Beverly Hilton Hotel on January 7, 2018 in Beverly Hills, California. 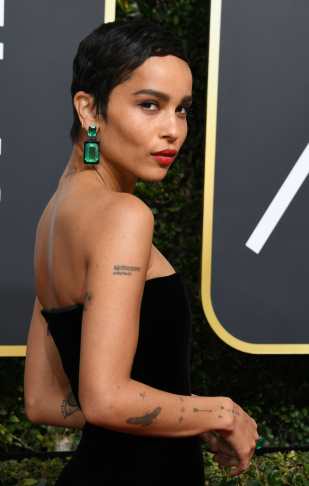 Actress Zoe Kravitz arrives for the 75th Golden Globe Awards on January 7, 2018, in Beverly Hills, California. Actress Allison Williams attends The 75th Annual Golden Globe Awards at The Beverly Hilton Hotel on January 7, 2018 in Beverly Hills, California. Actress Caitriona Balfe attends The 75th Annual Golden Globe Awards at The Beverly Hilton Hotel on January 7, 2018 in Beverly Hills, California. Actress Elizabeth Moss attends The 75th Annual Golden Globe Awards at The Beverly Hilton Hotel on January 7, 2018 in Beverly Hills, California. Actress Connie Britton attends The 75th Annual Golden Globe Awards at The Beverly Hilton Hotel on January 7, 2018 in Beverly Hills, California. Actress Tanika Ray attends The 75th Annual Golden Globe Awards at The Beverly Hilton Hotel on January 7, 2018 in Beverly Hills, California. Actress Maggie Gyllenhaal attends The 75th Annual Golden Globe Awards at The Beverly Hilton Hotel on January 7, 2018 in Beverly Hills, California. Actress Claire Foy attends The 75th Annual Golden Globe Awards at The Beverly Hilton Hotel on January 7, 2018 in Beverly Hills, California. Actress Mandy Moore attends The 75th Annual Golden Globe Awards at The Beverly Hilton Hotel on January 7, 2018 in Beverly Hills, California. 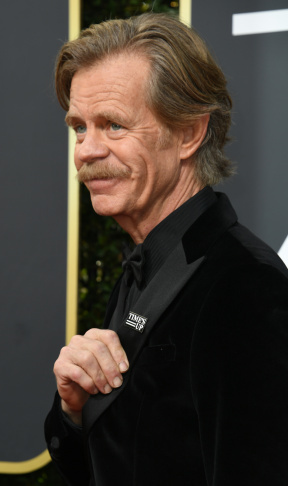 Actor William H. Macy arrives for the 75th Golden Globe Awards on January 7, 2018, in Beverly Hills, California. Actress Alicia Vikander attends The 75th Annual Golden Globe Awards at The Beverly Hilton Hotel on January 7, 2018 in Beverly Hills, California. Actress Alison Brie attends The 75th Annual Golden Globe Awards at The Beverly Hilton Hotel on January 7, 2018 in Beverly Hills, California. 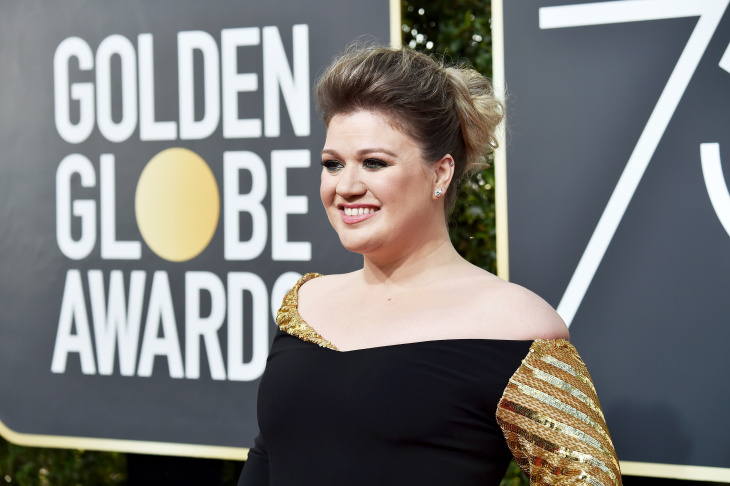 Singer Kelly Clarkson attends The 75th Annual Golden Globe Awards at The Beverly Hilton Hotel on January 7, 2018 in Beverly Hills, California. Actress Yvonne Strahovski attends The 75th Annual Golden Globe Awards at The Beverly Hilton Hotel on January 7, 2018 in Beverly Hills, California. 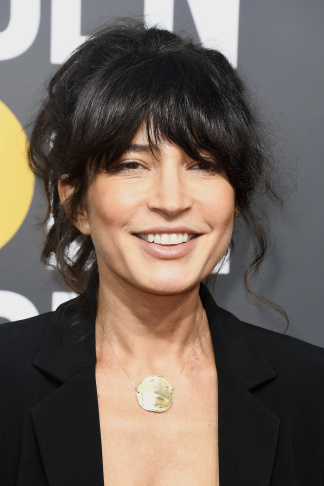 Cinematographer Reed Morano attends The 75th Annual Golden Globe Awards at The Beverly Hilton Hotel on January 7, 2018 in Beverly Hills, California. Actress Rachel Brosnahan attends The 75th Annual Golden Globe Awards at The Beverly Hilton Hotel on January 7, 2018 in Beverly Hills, California. Actress Catherine Zeta-Jones attends The 75th Annual Golden Globe Awards at The Beverly Hilton Hotel on January 7, 2018 in Beverly Hills, California. Actress Dakota Johnson attends The 75th Annual Golden Globe Awards at The Beverly Hilton Hotel on January 7, 2018 in Beverly Hills, California. Model and TV personality Heidi Klum attends The 75th Annual Golden Globe Awards at The Beverly Hilton Hotel on January 7, 2018 in Beverly Hills, California. Producer Ramsey Naito attends The 75th Annual Golden Globe Awards at The Beverly Hilton Hotel on January 7, 2018 in Beverly Hills, California. 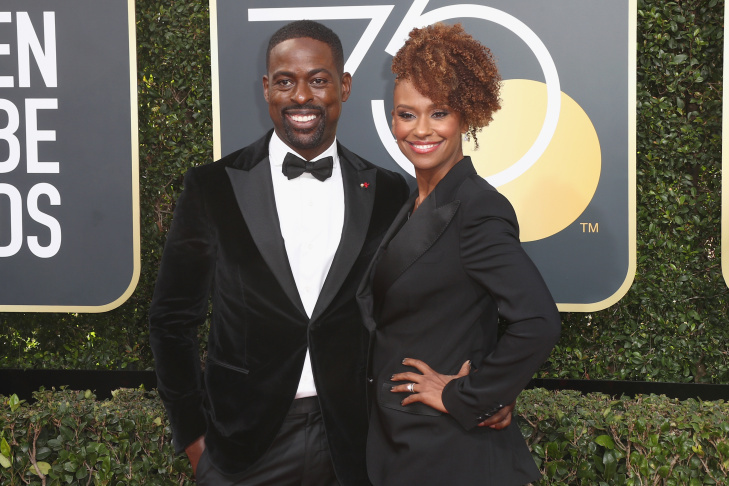 Actors Sterling K. Brown and Ryan Michelle Bathe attend The 75th Annual Golden Globe Awards at The Beverly Hilton Hotel on January 7, 2018 in Beverly Hills, California. The 2018 Golden Globes haven't started yet but the arrivals have. As expected, many actresses are showing their support for the movement to end sexual harassment and inequality in the entertainment industry — and they're doing it with their choice of clothing. They're wearing all black gowns. The coordinated wardrobe blackout is part of Time's Up, an ambitious initiative to fight sexual harassment in Hollywood and other industries. Approximately 300 prominent actresses, filmmakers, agents and executives — including Shonda Rhimes, America Ferrera, Eva Longoria, and Reese Witherspoon — have signed on to the campaign. Time's Up has created a $13 million legal defense fund to help people who have experienced workplace harassment. Campaign organizers are supporting legislation that would forbid the use of nondisclosure agreements to silence victims. 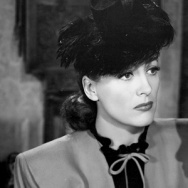 They're also pushing for gender parity at studios and talent agencies. 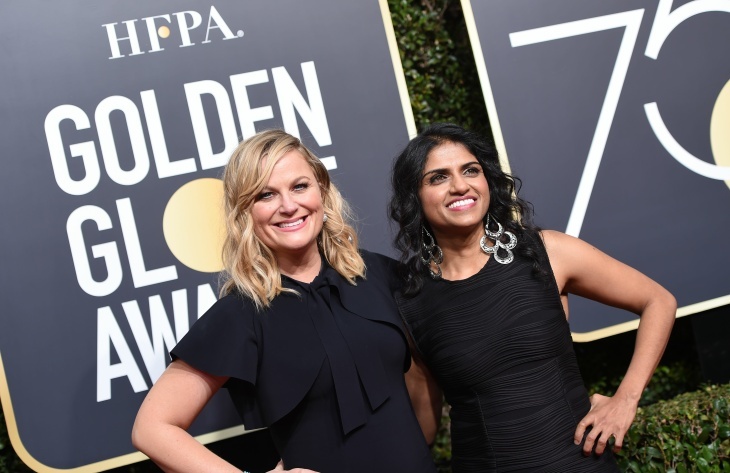 As part of Time's Up, they're encouraging Golden Globes attendees to wear black. 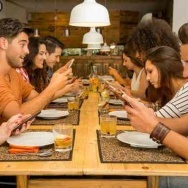 Many have heeded the call. According to the Hollywood Reporter, representatives from L.A.'s fashion and accessory showrooms are "reporting a run on all-black clothing, from gowns to cocktail dresses to men's suits." Several men have turned up at the Golden Globes wearing black "Time's Up" pins on their lapels. It's probably a safe bet that none of those gowns on the red carpet were designed by Marchesa.